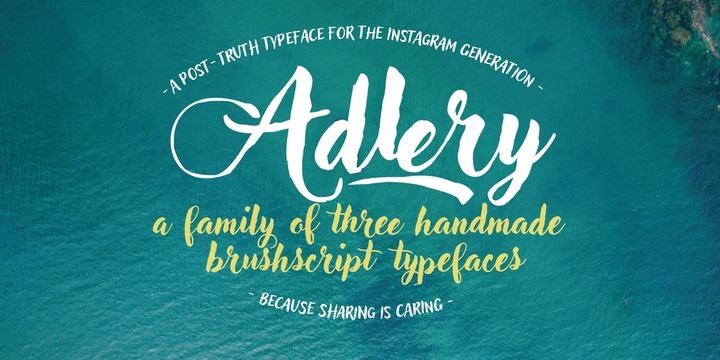 Adlery Pro is a handmade typedace created by Cosimo Lorenzo Pancini and published by Zetafonts which is available in 3 styles (Basic, Swash & Blokletter) and some useful OpenType features. This brush font it merge well on medium sizes. It is suitable for editorial purpose, logo, poster, wedding project etc. Enjoy! Price: all 3 fonts for only $60,00. A font description published on Friday, September 22nd, 2017 in Cosimo Lorenzo Pancini, Fonts, Zetafonts by Alexandra that has 2,642 views.